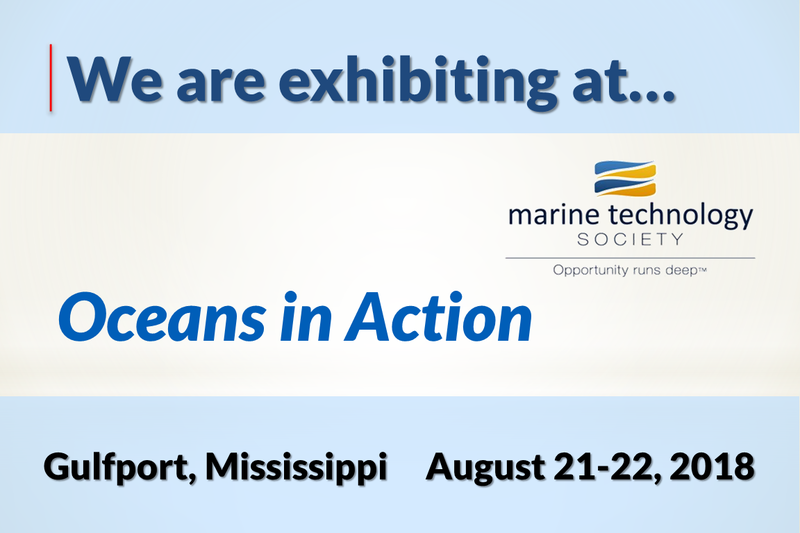 DeepWater Buoyancy is co-sponsoring and exhibiting at the Marine Technology Society’s 8th annual Oceans in Action workshop. The event is being held in Gulfport Mississippi on August 21st and 22nd. We will be represented at the event by Chris Kelly and Kurt Fromhertz, our sales representatives in the gulf coast. If attending, please be sure to stop by our exhibit table and visit with them. 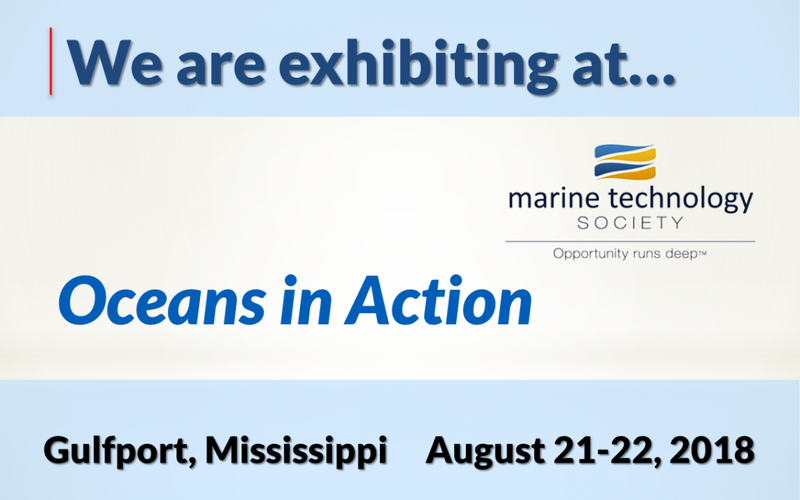 The Oceans In Action Workshop is an annual event featuring new technologies in the maritime industry. Day one consists of updates from federal, state, and regional organizations and new technologies that have helped their missions over the past year. New technologies of interest to local agencies are also presented. Day two is our industry-focused day and has historically consisted of panels on current and emerging topics. This year, resulting from a closer collaboration with the Commander, Naval Meteorology and Oceanography Command, our event is even more exciting! Day two will begin with pier-side demonstrations of select technologies associated with the Advanced Navy Technology Exercise (ANTX). Workshop participants will be shuttled to the Port of Gulfport to watch staged demonstrations of new technologies, review results of exercises recently held in the Gulf of Mexico, and to tour recently-completed facilities, including the new University of Southern Mississippi (USM) Marine Research Center. Participants will be shuttled back for luncheon presentations, a panel on the Blue Economy, and Business-to-Business/Business-to-Government meetings.